So yesterday, I wrote about why it’s a logically and economically bad decision to buy a Nintendo Switch at launch. But this is the internet! Logic and economics have no place here! It’s time to get HYPE for the Switch, and to keep the hype train rolling along until it pulls into the station on March 3rd, I’m giving five reasons why you SHOULD buy a Switch at launch. If you buy a Nintendo Switch at launch, you will be one of the first not to just own this new console, but the first console/handheld hybrid ever! The Nintendo Switch is the first of its kind, and being part of this exciting new history will be something that 50 years later, you can say that you were there, day one, ushering in the new era of hybrid gaming. Just a disclaimer- The Legend of Zelda: Breath of the Wild is not out, and thus no one knows which version will be better, and even then, it’s entirely subjective. For example, Twilight Princess on Wii had a slightly better resolution and motion controls for shooting arrows, using the clawshot, etc., but had the awful waggle assigned to swinging your sword, whereas the GameCube had a worse resolution and no fancy motion controls, but objectively the best controller ever! To be fair, the Wii U will almost certainly have the same features present in the HD Zelda remakes, such as having the gamepad have the map so you don’t have to pause the game to look at it or your items so you can drag them to an assigned button, again, without pausing. However, it seems that despite this, the Switch version will probably be superior. We of course don’t know everything about the differences, but here’s what we do know: the Switch version will have a better resolution when docked or a better frame rate when undocked, and there will be more particle effects and “enhanced audio.” (apparently horse trots will specifically sound when your horse’s hooves touch the ground where it will just be a normal audio file that loops when you move your horse in the Wii U version.) We can also safely assume that loading times will be significantly shorter on the Switch as cartridges load much faster than discs. Then there’s the fact that you can take the Switch version anywhere with you, so you never have to stop playing Zelda! Do you remember the early days of the Wii? It was impossible to find one of those things! And, if the Switch sells above what Nintendo is expecting, this could happen again. But if you pre-order or buy before they sell out on day 1, you won’t have to worry about this at all. You can bypass calling all of your local retailers daily to find out if the system’s in stock and spend your time playing your Zelda, Sonic, and Mario. Yes, I know it says Wii gets, $30, but somehow I ended up with $50. Hey, I’m not complaining! Yes, I know all of the deals for this have since expired, but maybe this can explain to you why someone else decided to pre-order the Switch. You see, GameStop had a deal for a few weeks after the Jan. 12th event where if you traded in your old consoles, they would give you significantly more money for it. Usually, I would get a scant $15 for trading in my Wii. But when I traded in my Wii during the deal, I got $50 towards my Switch pre-order, thrice as much money as I would have normally earned! This was the best value I could have reasonably gotten for the system. 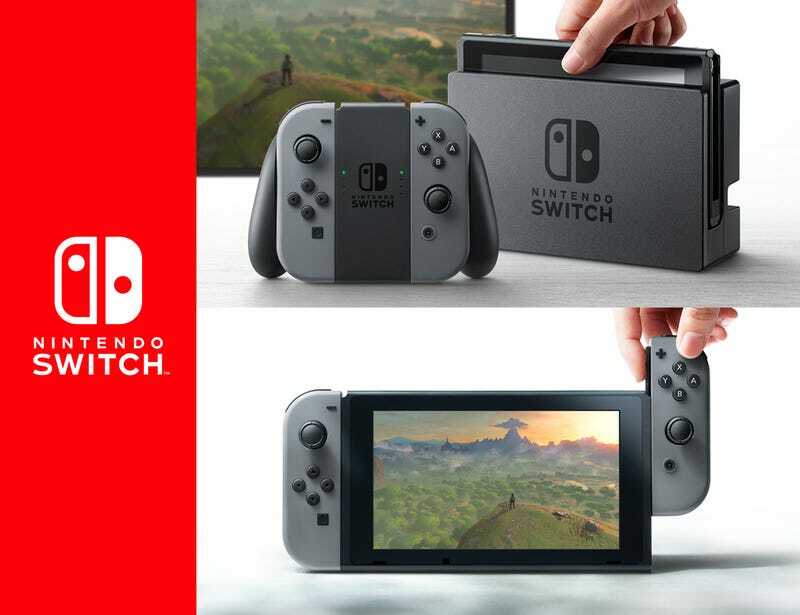 Yes, we can pretend that our purchase of the Switch is justified because we’re “ambassadors for the future of gaming,” because there’s the superior version of Zelda, because you won’t find one later, because it’s the best value for used consoles, but at the end of the day, anyone who buys a Switch on day one buys it for one reason above all else: They’re Nintendo fans. And there is nothing wrong with that! We all do irrational and silly things for the people and things that we love, and if you, like me, love Nintendo, then your day-1 purchase of a Switch doesn’t have to be logical. It’s a purchase out of pure, blind, unconditional love.